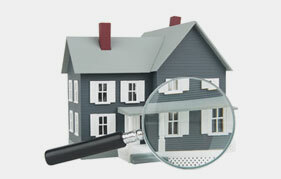 When it comes to inspectors there are many aspects of a home they will inspect. Today JMark Inspections would like to put the focus on water heaters. Water heaters are an essential as well as the most expensive component to a home’s plumbing system. A water heater provides hot water for bathing, washing laundry, and dishes. When selling or buying a home you will want to make sure your home water heater is in serviceable condition. JMark Inspections will share some of the common problems that are discovered by a home inspector when inspecting a home’s water heater. A water heater can use a variety of power or fuel sources. Water heaters will use electricity, natural gas, liquefied gas such as LNG, fuel oil or propane. However, you can also find tankless water heaters which are gaining in popularity and can be found in modern homes. In warmer climates you can even find solar heated water, where the water is pumped through a piping system on the roof of a home. However, the majority of homes still use traditional water heaters where the water is pumped into a tank, heated and then circulated throughout the home. Sediment Build Up: One of the most common problems with tank water heaters is sediment build-up. Most water is considered very hard, which means it contains high levels of minerals. Over time the tank develops hard water or mineral deposits which can build up inside the tank and begin to fill it with mineral deposits from the inside. This can cause a foul odor often referred to as the scent of rotten eggs. To prevent sediment from building which can destroy the water heater, periodically flush the tank out. Odd Water Heater Noises: Home inspector will listen for noises inside the tank of a water heater. This is usually the first step in determining if the tank has sediments. When sediments build up inside the tank it will create a popping noise. When the water becomes too over heated the sediment will get disturbed due to the bubbling or as bubbles rise. When the sediment becomes over heated the sediment burns which damages the heating element or the internal burners. No Hot Water: When there is no hot water present we find it most commonly occurs in gas fired water tanks. This can occur if the pilot light goes out or is due to failed thermocouple. A thermocouple is a safety device that is attached to the pilot light which senses if the pilot light is lit. If the thermocouple is faulty or failing it can shut the gas supply off the pilot light. If an electrical water heater is not producing hot water then this is mostly due to a broken element that needs to be replaced. Above are but a few common problems a home inspector will look for in a water heater. To ensure your water heater passes the inspection, make sure you periodically inspect and maintain your home’s water heater. Depending on the type of water heater you have in your home, maintenance can vary. 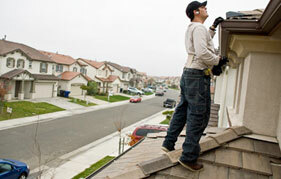 Before buying or selling a home make sure to get a professional home inspection. 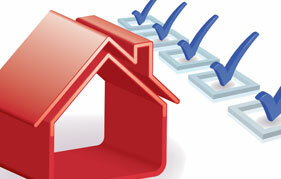 To schedule a commercial or residential inspection, contact JMark Inspections today.